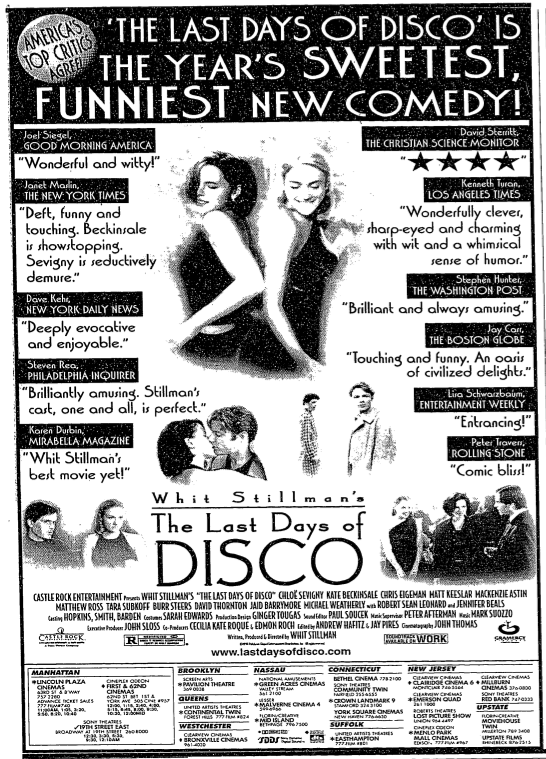 Whit Stillman’s The Last Days of Disco opened May 29th, 1998. 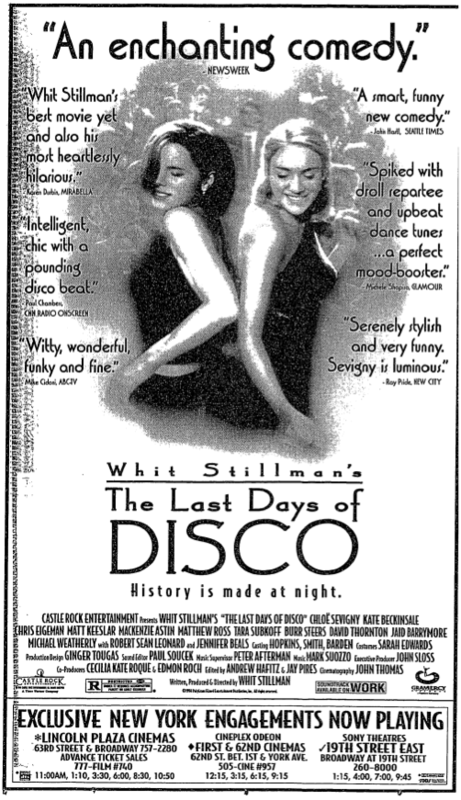 It is a month off from this date, but to tide you over until then, here is the old Disco web 1.0 site from the wayback machine, some videos, and some newpaper ads. Stillman tweeted that special screenings will take place in LA, NYC, and London. 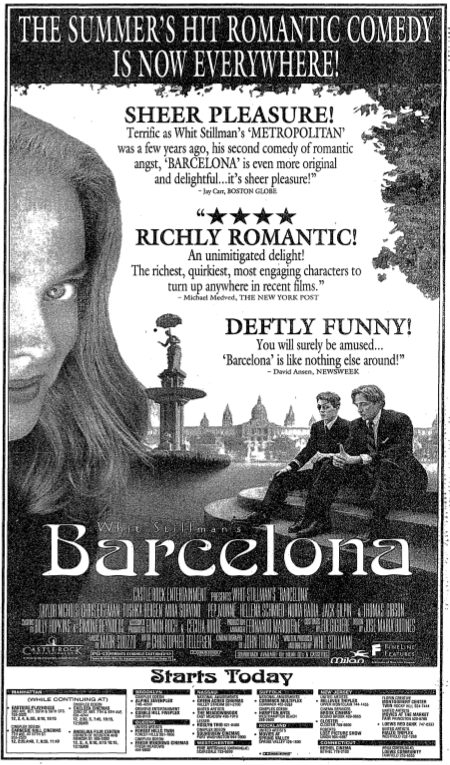 Whit Stillman’s Barcelona officially turns 20 today as it premiered at the Seattle International Film Festival on June 12, 1994. Fire up the grill for some hamberguesas, grab some Rolling Rock out of the fridge and pop in Barcelona tonight. You can also download to rent or own Barcelona through amazon or itunes. The Official Podcast has done some really great interviews with both Whit Stillman and Taylor Nichols that you should check out (if you have not yet had the chance). Also, a Charlie Rose interview transcript (the video is not available). Lastly, a rare Barcelona TV ad. Also, here are some photos from Barcelona by Corbis Images. Whit Stillman’s Barcelona is almost no longer a teen, but will still not be old enough to drink Rolling Rock Beer. Barcelona will be turning twenty soon, as it premiered at the Seattle International Film Festival (SIFF) June 12, 1994 as the closing film. It would open in the USA on July 29th 1994 and was a critical as well as financial success (as well as being adored by Stanley Kubrick). It starred Taylor Nichols, Chris Eigeman, Mira Sorvino, Tushka Bergen and Pep Munné. 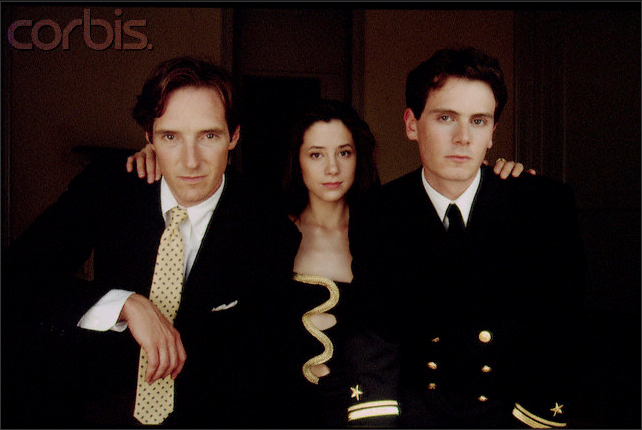 — Director Whit Stillman’s first feature since the highly acclaimed “Metropolitan,” “Barcelona” focuses on the lives and loves of two estranged cousins – one a businessman, the other a naval attache – who are brought together by fate in Spain during a time when anti-American and anti-NATO tensions are at their height. 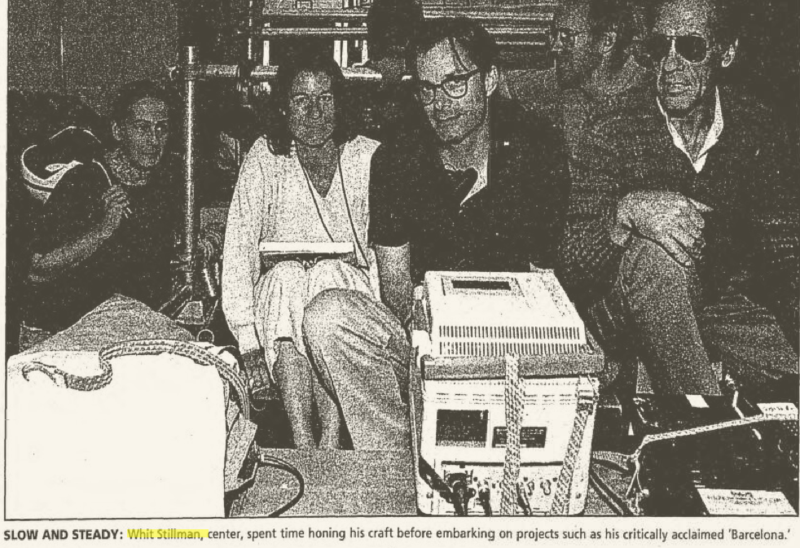 Stillman will attend the festival for the film’s premiere. June 12, 6:30 p.m., Egyptian, $20.